Two Kurdish political prisoners, Zanyar Moradi and Loghman Moradi, are facing execution as the Iranian government moves forward on charges of murder, reports the International Campaign for Human Rights in Iran. Zanyar and Loghman Moradi were arrested in August 2009 on charges of “enmity against God” due to alleged membership of the Kurdish party Komeleh and involvement in the murder of the son of a Friday Prayer Imam in Marivan. They were sentenced to death by hanging in December 2010. Human rights organisations have been campaigning in order to prevent the execution. According to Zanyar Moradi’s father it has caused protests that the death sentence was based on the charge “enmity against God”. The Iranian government is now pushing to execute both men on grounds of murder. 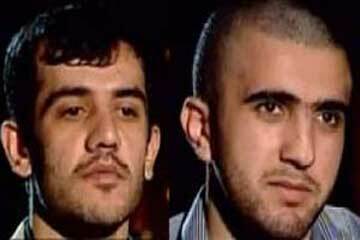 Loghman and Zanyar Moradi were deprived of their legal rights and were not allowed legal defense. They were forced to confess to the charges after extensive physical and psychological torture and pressure in prison. As we have written in the past, in all stages of our case, from arrest to the time the sentence was handed down, the laws were belligerently broken. [Some of these unlawful acts include:] Long and severe torture, which led to the maiming of our bodies; months-long solitary confinement; lack of the possibility to visit with or even make phone calls to our family members; intimidation; personal and religious insults; and forcing us to make false, self-incriminating confessions. We have no hope in the Islamic Republic to investigate and follow up with our case. However, as two young men on death row, as two men who live under the shadow of imminent death, we expect you to [take the necessary measures] in order to restore the violated rights of us, two Kurdish citizens, and other prisoners of conscience as well. In the early stages of interrogation, they asked about my father. I told them that my father has nothing to do with me. They told me, ‘You and your father are the same to us.’ The questions about my father occurred on the first day of interrogation. I accepted because I was unable to withstand the tortures anymore. My testicles were bleeding and in pain. I could not bear the brutal tortures anymore. They did not even allow a doctor to see me.